Makna Forest is the warm, temperate forest that the Nopon make their home in. It is split in two by a great chasm, through which a fast-flowing river flows at the bottom. The river is fed by the beautiful Makna Falls, found near the forest’s entrance. 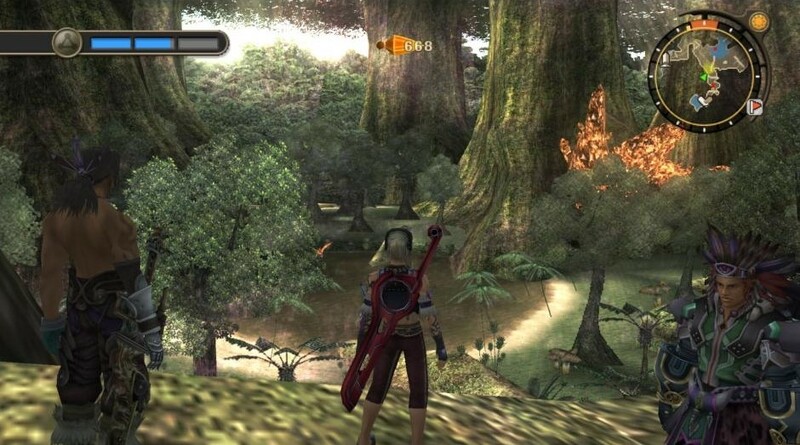 Makna Forest is located on the Bionis’ back. It has huge Ether deposits in various places, which attract all kinds of weird and wonderful creatures. It’s a huge area to explore, and there are plenty of difficult places to find. One in particular gives a fantastic view of the falls. Make sure to explore the area very thoroughly!